Nail fungus, or onychomycosis as it is known medically, is a condition that is commonly found on nails of people of any age, although primarily it is seen in older adults, it can be seen in children as well.. It usually begins as a white or yellow spot under the nail that progressively takes over the whole nail. It appears more commonly on toe nails than on finger nails because this type of fungus likes to live in an environment that is warm, dark, moist, as is commonly found inside of shoes and also where there is reduced blood flow. Men tend to develop nail fungus more often than women. A few risk factors for developing nail fungus are being diabetic, having a nail injury, being immune-compromised, living or working in humid conditions, having poor circulation, receiving chemotherapy, wearing tight fitting shoes, having poor hygiene, and having other fungal infections like athlete’s foot. There are different ways to treat nail fungus and they range from the simple home remedy to the more intensive that is prescribed by a physician. Home remedies can include applying a vapo rub, tea tree oil, trimming and filing the nails, and over the counter nail creams and ointments. The more intense methods prescribed and administered by a physician includes oral antifungal medications, medicated nail polish, nail removal and laser light therapy. Podiatrists are doctors who specialize in all conditions of the feet. If you would like to schedule an appointment with a podiatrist at Jamaica Hospital, please call 718-206-7001. The pacifier is the saving grace for many new parents to soothe their crying baby. However, what parents may not know are the germs harbored on the pacifier could be causing more harm than good to their baby’s health. If you have noticed your child is more prone to being diagnosed with strep throat and ear infections, the pacifier maybe the culprit. Germs are not just on the surface of the pacifier. 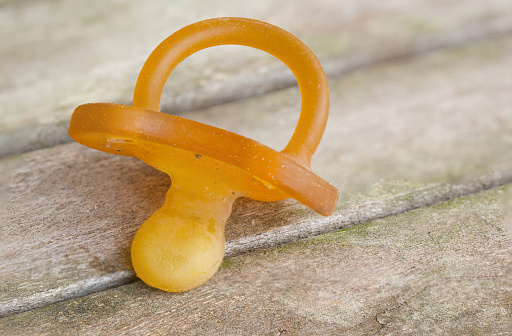 The porous rubber top of the pacifier is likely to grow bacteria from the inside out. Research conducted at the Tulsa Wellness Care Center found standard lab cultures produced strep bacteria, various strains of staph and the bacteria that cause pneumonia. The pacifier samples also produced the yeast that causes thrush. Thinking you can clean or disinfect the pacifier for continual use? Not necessarily. Even after washing and boiling a pacifier, these bacterias build a resistance under a complex structure called ‘biofilm’ and continue to harbor and grow. Surprisingly, the life expectancy of a pacifier, even after continual cleaning and “disinfecting”, is only two weeks. Take it away early- newborns have a sucking reflex due to hunger, but by three months of age, it’s non-nutritive. Instead, try soothing your baby rocking or holding them. Make it taste bad- Once they are older, they have developed their taste buds and are biased to certain tastes. Parents have tried vinegar or lemon to make it taste bad, but once it becomes unappealing, your child may be pacifier-free. Take it away gradually- using it only for naps can be helpful and then gradually letting go the need for it. Cut the tops off of the pacifier- an unconventional method, but possibly helpful. Place them strategically where he or she may find them and they will realize they are no longer able to use. A healthy, happy baby will appreciate your caution in the long run. During tonic-clonic (grand mal) seizures, a person may convulse (jerking movements), lose consciousness, have stiffened muscles or bite their tongue or cheek. A person can also lose control of their bladder or bowels. If seizures continue for more than five minutes, call 9-1-1 immediately. Other times you should call emergency services is if, you know this is the person’s first seizure, they are having seizures one after the other, they are pregnant, there are injuries caused by the seizure or you believe they are in need of urgent medical attention. 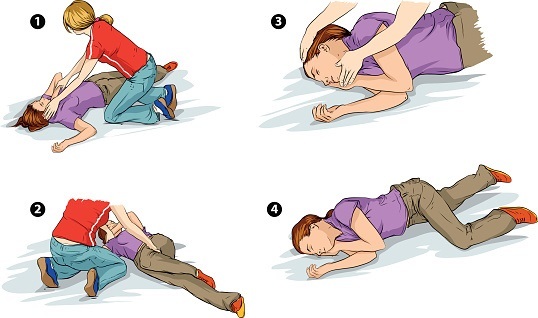 For more information on seizure first aid, please visit the Centers for Disease Control and Prevention (CDC) https://www.cdc.gov/epilepsy/basics/first-aid.htm. A blood clot is a clump of blood that is in a gelatinous, solid state. Deep vein thrombosis (DVT) is a serious condition that occurs when a blood clot forms in a vein located deep inside your body. Deep vein blood clots typically form in your thigh or lower leg, but they can also develop in other areas of your body. To better control and treat DVT, your doctor may prescribe medication and suggest daily routines to decrease your risk. DVT treatments focus on keeping the clot from growing. Your doctor might prescribe medications that thin your blood, making it harder for blood clots to appear. Another treatment method is wearing compression stockings that prevent swelling and lower your chance of developing clots. You can lower your risk of having DVT by making a few lifestyle changes. These include keeping your blood pressure under control, giving up smoking, and losing weight if you’re overweight. Moving your legs around when you’ve been sitting for a while also helping to keep your blood flowing. Walking around after being on bed rest can prevent clots from forming. Take any blood thinners your doctor prescribes if you’re having surgery, as this can lower your chance of developing clots afterward. Anyone who has ever tried to watch their weight, protect their teeth, or has been told that they have diabetes, has probably tried something made with an artificial sweetener. The concept of using sugar substitutes has been around for a very long time. A researcher at Johns Hopkins University accidently discovered a product that would be developed into what we now know as saccharin in 1879. The use of artificial sweeteners as part of our daily lives became more prevalent in the mid 20th century. There are six sugar substitutes that have been approved by the U.S. Food and Drug Administration for use in foods and beverages. These are aspartame, sucralose, stevia, neotame, saccharin, and acesulfame potassium. These products are very sweet and therefore only very small quantities need to be added to food and beverages to make them taste good. 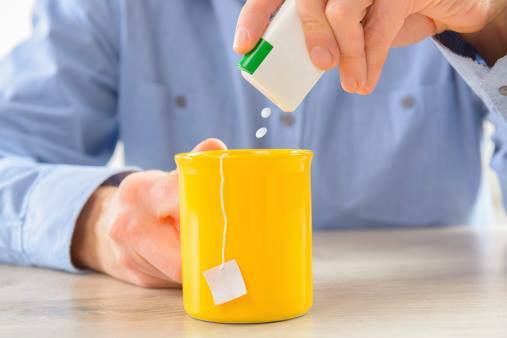 For as long as these products made with artificial sweeteners have been available there has been controversy over any harmful side effects that they may pose. So far the FDA has not been able to substantiate any claims of harmful effects from their use. As people in the United States have become more health conscious, the use of products made with artificial sweeteners has increased. More and more products are being produced each year that are labeled “Sugar Free”, “Diet”, “Low-Cal”, “Light”, or “Artificially Sweetened”. People are naturally attracted to foods that taste sweet. It has been stated that the taste of sugar may even be addictive. While limiting the intake of sugar may be seen as a good trend, people seem to be consuming more of the artificially sweetened products which may not be beneficial in the long term. Over indulgence in products that are made with these artificial sweeteners can still cause weight gain. While spring signals the beginning of beautiful weather and warmer days for many; it also marks the beginning of allergy symptoms for those who suffer from seasonal allergies. If you are one of these people, symptoms such as sneezing, itchy eyes, congestion and headaches can leave you feeling miserable. If your symptoms are continuous and affect your ability to carry out routine activities- you should speak with an allergist. Your allergist will be able to help you identify what triggers your seasonal allergies and provide the best course of treatment to offer relief or stop symptoms. Treatment options may include prescription medication to control symptoms or immunotherapy. “Allergy immunotherapy, also known as allergy shots, is a form of long-term treatment for allergic disorders that decreases symptoms for many people by modulating the immune system in a beneficial way. Allergy shots decrease sensitivity to allergens providing lasting relief of allergy symptoms,” explains Dr. Roth. Allergy shots are highly effective and can help alleviate many symptoms. The Division of Allergy and Immunology at Jamaica Hospital focuses on the diagnosis and long-term treatment of allergic and immunologic conditions. 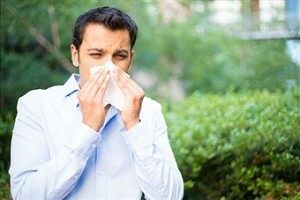 To schedule an appointment with an allergist such as Dr. Lisa Roth, please call 718-206-6742. Tuesday, March 24 is Diabetes Alert Day, a one-day wake-up call to inform the American public about the seriousness of diabetes, particularly when diabetes is left undiagnosed or untreated. Often times, diabetics wonder if they can be a vegetarian or vegan? The answer is yes, it is possible. Vegan- This group does not eat meat, eggs, or dairy products. Lacto-vegetarian- This group does not eat meat or eggs. However, they will eat dairy products. Lacto-ovo vegetarian- This group does not eat any meat. However, they will eat both dairy products and eggs. If diabetics decide to become vegetarian or vegan, their diets should be rich in protein, iron, vitamin B12, calcium and vitamin D. Eating a good mix of vegetables, fruits, beans, whole grains, nuts, and low-fat dairy products guarantee the body receives the vitamins and proper fuel required to normally function. As a vegetarian or vegan, this kind of diet should not solely concentrate on simple carbohydrates rich in starches, such as potatoes, white rice and white bread or even fruits, which can have the opposite effect on blood sugar levels for diabetics. A focus on a well-rounded diet can help to improve blood sugar levels and make the body more responsive to insulin. It can also help with weight management which can be a concern to many diabetics. The key to a healthy vegetarian/vegan diet as a diabetic is balance and planning. Every person who has diabetes has his, or her, own individual energy and nutrient needs. Anyone interested in changing their dietary lifestyle should consult with their health care professional. Jamaica Hospital Medical Center now offers a free, innovative approach to treat patients at risk of developing diabetes. 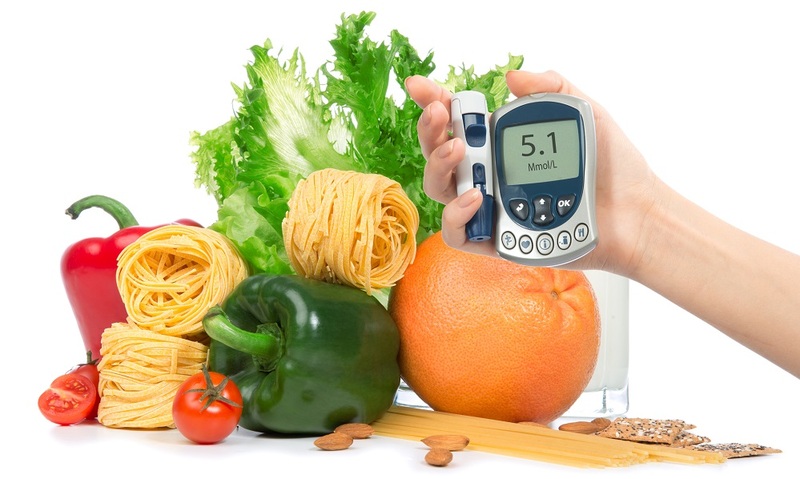 The hospital’s Diabetes Prevention Program (DPP) was created by the Centers for Disease Control (CDC) and is aimed at managing the health of individuals with prediabetes, or borderline diabetes. The DPP is open to all who meet the basic medical criteria. For more information about eligibility or to sign up for the Diabetes Prevention Program, please call 718-206-7088. The month of March has been designated as “National Save Your Vision Month” by the American Optometric Association as a way to promote good eye health. This year, the campaign wants to bring attention to eye problems that can occur at work. More people are using electronic devices for both work and for pleasure than ever before and this can lead to eye problems for some people. This year the campaign wants to bring attention to eye problems that can occur at work. People who use computers all the time, especially at work, should be aware of developing dry eyes, blurred vision and eye strain. This is because the eyes are focused for long periods of time on an object that is at a fixed distance rather than seeing objects that are moving or at varying distances which allow the muscles of the eyes to constantly move. Also, people who use computer screens for long periods of time don’t blink as frequently and this can lead to dry eyes. To alleviate some of these problems it is important to take a break from time to time and look out a window or at least look around the room. 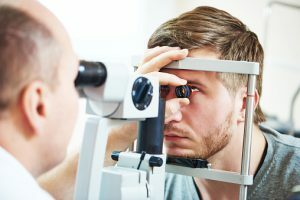 Some tips for good eye health include keeping the computer monitor about twenty inches from your eyes, keeping the top of the screen tilted a little below eye level, the screen should be kept clean to avoid anything that can blur the images. It is also important to eat a healthy diet which will keep the eyes well nourished. Regular eye exams can detect problems before they become serious. Correcting faulty vision early can prevent the problem from becoming serious later on. If you would like to schedule an appointment with an eye doctor at Jamaica Hospital, please call 718-206-5900. 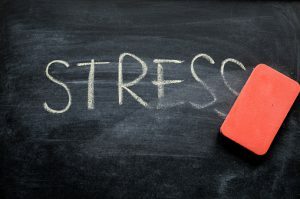 For many, dealing with excessive stress has become a way of life. We often hear the words “just relax,” but sometimes we find it difficult to take that advice and de-stress due to every day hassles. When you are stressed the body releases hormones such as cortisol and adrenaline- which causes the fight or flight reaction. This can speed up the normal function of several organs, including the heart. The fight or flight reaction is appropriate when we face immediate threats but can be damaging if prolonged; as our bodies are only designed to deal with the effects of stress for short intervals. The Nervous System– High levels of cortisol and adrenaline can impair the nervous system, which regulates heart rates, the excretion of waste, breathing rates and the dilation and constriction of blood vessels. The Immune System– Chronic stress can weaken the immune system, which increases the risk of infections, infectious diseases, skin problems such as eczema and can slow down wound healing rates. The Digestive System– Excessive levels of stress can stimulate the muscles of the intestines and cause diarrhea or constipation. It can also lead to indigestion or nausea and increase the risk of ulcers or irritable bowel syndrome. The Endocrine System– Stress hormones can cause the liver to increase blood sugar levels. This is particularly dangerous for diabetics. It is important to reduce excessive and prolonged periods of stress. A healthy lifestyle that helps manage stress often requires changing your mindset. But, if you are willing to make the changes that will improve your health, the impact can be far-reaching. 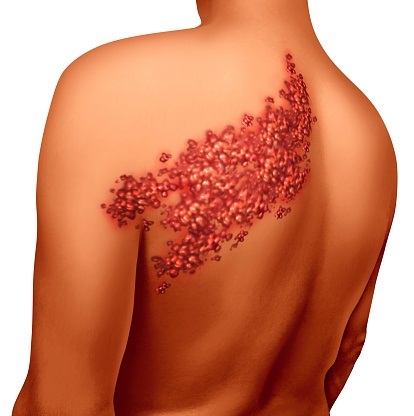 Almost 1 out of every 3 people in the United States will develop shingles. Shingles is the term used for a skin rash that is caused by the herpes-zoster (varicella) virus, the same virus that causes chickenpox. In some cases it can reactivate and cause shingles. Anyone who has had chickenpox may develop shingles, including pregnant women and even children. As a new or expecting mother there are a lot of concerns for staying as healthy as you can for you and your baby during pregnancy. Although you can’t give anybody shingles, you can pass the virus on as chickenpox. Whereas shingles is harmless in pregnancy, chickenpox can cause problems for an unborn baby. For this reason, stay away from other pregnant women while you have shingles. First, get a blood test to find out if you’re immune to chickenpox. If you’re not immune, you can get a vaccine. It’s best to wait 1 month after the vaccine before getting pregnant. If you’re already pregnant, don’t get the vaccine until after you give birth. In the meantime, avoid contact with anyone who has chickenpox or shingles. If you’re not immune to chickenpox and you come into contact with someone who has it, tell your doctor right away. Your doctor can treat you with medicine that has chickenpox antibodies. Tell your doctor if you come in contact with a person who has shingles. Your doctor may want to treat you with an antiviral medication. Antiviral medication will shorten the length of time that the symptoms will be present. To learn more about prenatal treatments please call the Women’s Health Center at Jamaica Hospital Medical Center at 718-291-3276.